Stealthy Mom: We needed another reason to dislike McDonald's. We needed another reason to dislike McDonald's. You may have heard a recent radio ad where a McDonald's spokesperson claims that trying their new chicken bites would be "less risky than petting a stray pit bull." Say WHAT? Our Maple was thrown from a car. A professional driver stopped and took a risk to pet her, and saved her life. A chance meeting at a truck stop brought her to us. Petting a stray pit bull put us at risk for losing our sedentary lifestyle. McDonald's food puts someone like my husband at a greater risk for a stroke than, say, petting a stray pit bull. Never mind the grease; let's talk about salt. People with chronic high blood pressure (and anyone over fifty and all African Americans) should consume no more than 1500mg of sodium per day. A regular sized portion of Chicken McBites contains 730mg of sodium. Add a medium-sized box of fries and you'll have another 270mg. An Angus Bacon and Cheese burger contains 2070mg of sodium, so I guess the commercial could say, "trying our new McBites is less risky than eating our Angus Burger." Owning a pit bull can actually lower your risk of a stroke. For starters, petting a dog has been shown to lower blood pressure and relieve stress. Exercise is great for cardiovascular health. 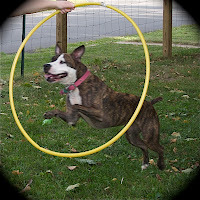 American Pit Bull Terriers are a high-energy breed, so any responsible owner of one will get lots of exercise. Laughter can reduce stress and lower blood pressure, too. Pit bulls are silly and make you laugh, so they must be good for you. Maple is no risk to our sanity, but stupid people, media bias, and commercials like this one are. We were harassed by city officials for "harbouring a pit bull." There was no local ordinance against owning any breed of dog, but one was quickly passed in secret. Empirical research demonstrates that no breed of dog is more dangerous than any other and we pointed that out. We were still treated like criminals and eventually had to move. 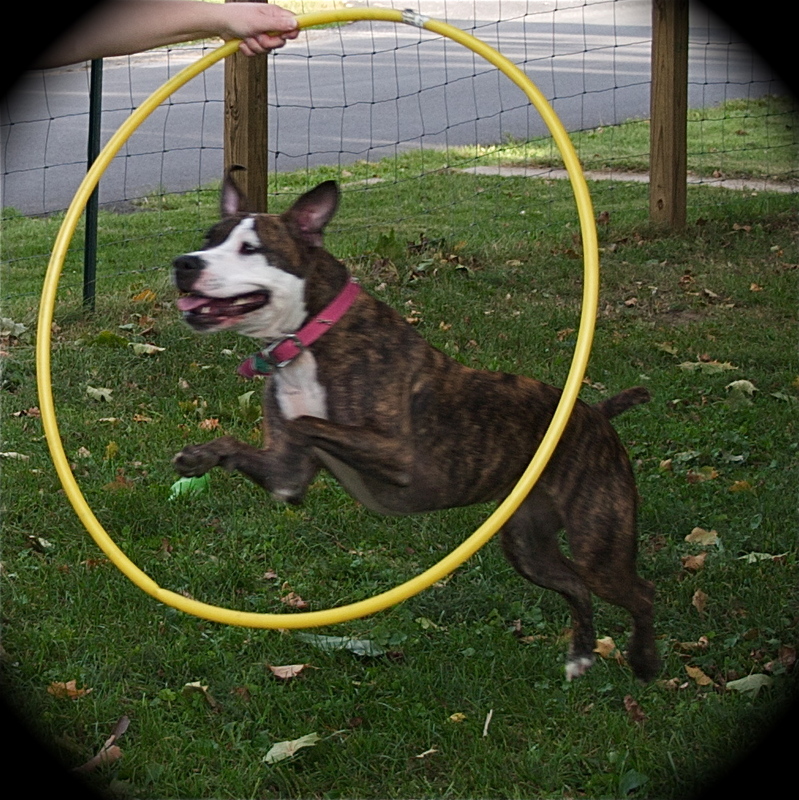 Will our new town council feed into the stereotype and pass breed-specific legislation? Thank you, McDonald's, for helping perpetuate a stereotype that puts our family at risk. McDonald's misrepresents their food as, well, food. If there was truth in advertising they would tell you how risky eating their food can be, and how petting a stray pit bull can be a good thing. "Maple is the One-Percent." Ninety-nine out of a hundred homeless pit bulls never find homes. Take a chance and pet one; it'll be good for both of you! Wow. That was beautiful. I couldn't agree more. Stupid McDonald's (those Mc-whatever bites were gross too, I tried them because I had a coupon for a free one)! We have two bull dogs in the family and we know what it's like to deal with ignorant people and their ridiculous doggie stereotypes. Thanks for putting the word out there for bull dogs!